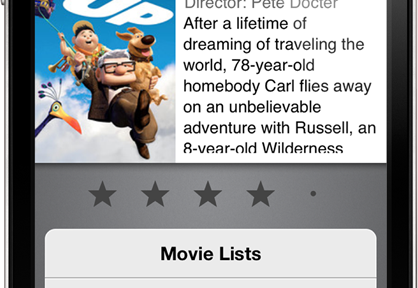 MovieNight for iPhone/iPod Touch lets you track, find and get reminders about the movies you want to see. Reminders make sure you never miss the release date, and using the ‘MovieNight’ feature, you can easily invite your friends to come watch a movie with you. MovieNight uses TMDB.org for most of its data, supplemented by rottentomatoes.com. It’s linked to a backend webservice which handles MovieNight invitations and RSVPs as well as sharing of movie lists and individual movies. These can be seen at http://movienightapp.com. Facebook and Twitter sharing are fully supported, optionally, facebook can be used for account management, instead of MovieNight itself. Never miss a movie again. Keep track of movie releases, put them on your watchlist and get a reminder when your movie comes out. Share your best finds with friends via email. Find new movies to watch by checking the upcoming, new releases and now playing lists, in MovieNight for iPhone and iPod Touch. Quickly see runtimes and descriptions for your favorite movies and rate them when you’ve seen them. Want more detail? Open them in the IMDB-app, on RottenTomatoes.com or http://themoviedb.org. Want to watch a movie (or a couple) with some friends? Plan a MovieNight, set a date and instantly send beautiful invitations.